Colours are vibration of lights and are involved in every aspect of our life. Life would have been dull and meaningless without colours. Colouring helps in self expression, colour recognition, building motor skills, grip/control, coordination, focus and creativity. Keeping this in mind, students of class I and II at INDIAN SCHOOL SOHAR were provided a platform to showcase their creative talent. 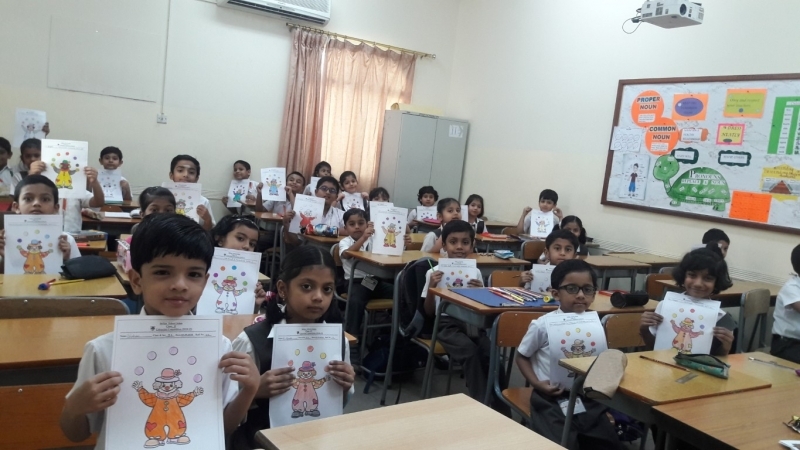 To nurture the creativity of the learners a colouring competition was organised for class I and II, in which a colouring worksheet according to their age group was given to each child. The children enjoyed this colouring activity where they were able to showcase their imagination, choice of colours and creativity. The judges were Ms. Shalini Agrawal, Ms. Priya Dias and Ms. Sethu Rajiv.